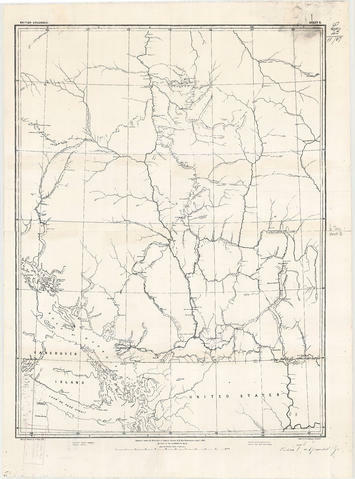 Item is a modern photocopy of a map showing the southwest portion of British Columbia and the northwest part of Washington State. The map depicts settlements, geographical features, wagon roads, bridle paths and other man-made features. Prepared under the direction of Capt. Persona, R.E. by order of Col. R.C. Moody, R.E. Map was photocopied in sections and the pieces glued together.